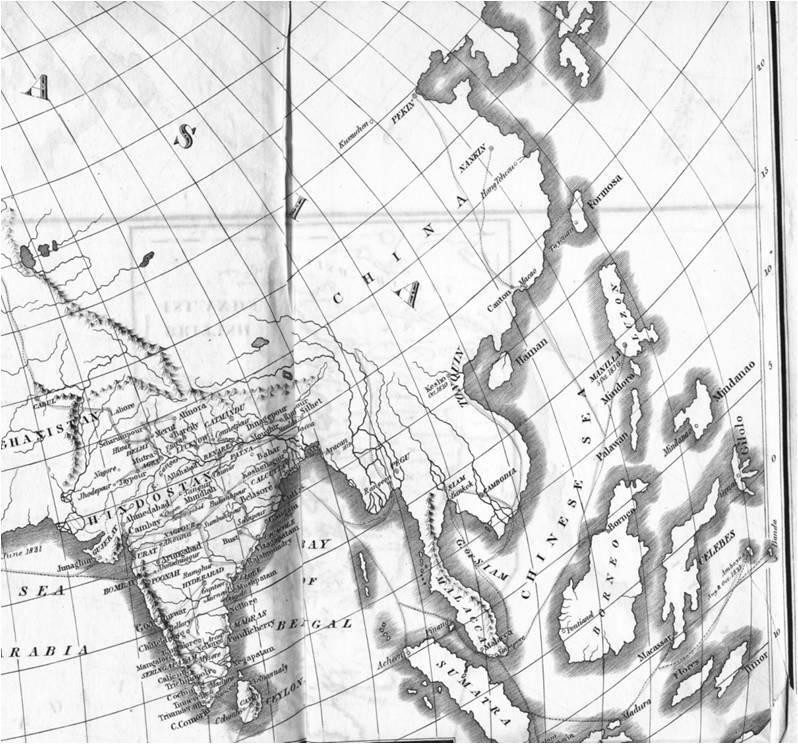 Entire Map. Noms-des-plumes in the medical literature for Scouttetten included Scoutetten , Scoutetten le docteur, Henri Scoutetten, Robert Henri Joseph Scouttetten and Robert Joseph Henry Scoutetten. The 1830s was an interesting period in medical history. The theories for disease that were proposed during this time were numerous and quite imaginative. The highly popular humours theory of the late 18th century had been replaced by Cullen’s theory of solidism, the notion that organs, not body fluids, were important in disease development, a concept promoted heavily by cadaver studies and our improved understanding of the physiology and anatomy of the human body. Matching the physical theories for disease were the metaphysical theories. This because the science of Psychologia came to be around 1800, and the recent discovery of the ability to resuscitate a “dead body” gave rise to the “suspended animation” theory and the development of the first Humanitarian society, the goal of which was to promote this new discovery and educate the general public at large about its methods and its success. The metaphysics of medicine had matured greatly during this period, enabling physicians to finally make regular use of the vital force concept. This philosophy was more advanced and more proven than its prior versions like the fifth element of Paracelsus (essential oil), the entia of Herrmann Boerhaave, or the ens veneris of Harvard Christian alchemist and scientist Charles Starkey. Scientists and scholars like Benjamin Franklin put a lot of the speculative nature about these vital force philosophies to rest once electricity was better understood. This change in thinking also enabled Dutch, Belgian, French and British physicians to attempt the practice of acupuncture and its sequent electric needle puncture as a part of Western medical traditions by the late 1820s and 1830s. Raoul Henri Joseph Scouttetten, D. D.(1799-1871) was born during this period of medical history. This was also a time when disease was strongly associated with climate and weather, which had the numerous scientific observations and records being kept to prove this claim. This means that during his childhood he would have been raised by parents whose interpretation of disease was leaving behind the solidist theory in exchange for its brunonian substitute briefly–the notion that the organs of the body and its health were controlled and directed by nervous energies or electricity elicited from the tissues and the brain–only to soon to become believers in such disciplines as the homeopathic philosophy promoted by Samuel Hahnemann beginning around 1806, its matching theory of how the inoculation process worked to strengthen the body’s resistance to disease, the increasingly popular environmental theories for disease which blamed weather and topography, and the very new sanitation based theory for disease, which stated that all sickness came about due to unhealthy, “filthy” living habits and conditions. This period of time is also when the phlogiston theory for disease, which claimed that some theoretical chemical substance created disease, was replaced due to the discovery of Oxygen by Priestley. With Oxygen and the discovery of its effects upon vitality and health, still more substitutes for the simply metaphysical vital force were developed. The word ‘phlogiston’ removed from the physician’s dictionary of commonplace medical terms, but soon came to be replaced in some parts of the U.S. by other terms. In New York, the true phlogiston was first identified as “carbonic acid” (Carbon Dioxide), but several other chemicals similar to it in ideology and health-related impacts were discovered as well. The role of Nitrogen in putrescence was becoming understood, enabling New York physician and famed politician to come up with his own theory on this theoretical putrid element or phlogiston, calling it septon (from the root for sepsis) during his years of professorship at the New York medical school and chief editor of one of just two medical journals in the United States at this time, Medical Repository. Fortunately for Scouttetten, scientists were developing a better understanding of how the body worked as he got older. 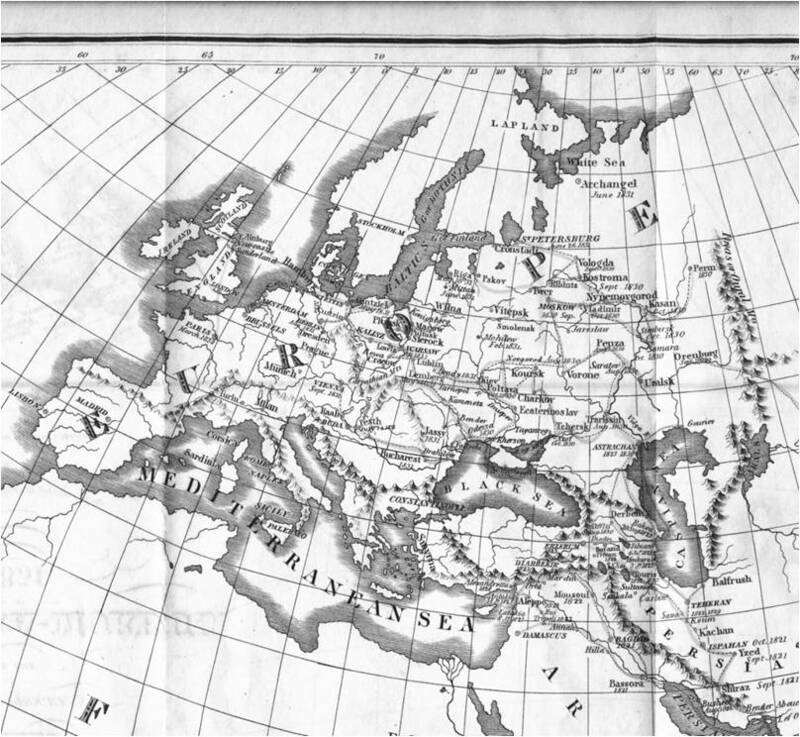 The most important parts of Mitchell’s theories probably made their way to Europe, and in particular France, but had the philosophies of many European physicians to compete with. Scouttetten’s medical philosophy, like Mitchell’s and other leading doctors for this time, was eclectic to say the least, and perhaps even more eccentric than some of the Americans due to his French heritage and upbringing. The most important observations of nature during this time pertained to the non-material world or the world of electricity, such things as clouds, storms, thunderbolts, and lightning. Solidification of these theories into a single concept led to the development of the telluric theory of disease–the notion that the physical elements of the world as a whole, as well as its parts, were important to understand when it came to maintaining health. Scouttetten grew up in a world where plenty of evidence existed for these natural history related theories for disease. This evidence was provided to him by the recurring nature of new series of fever epidemics–yellow and spotted fever. Matching these fevers were the other more common endemic diseases like diphtheria and the plague, and some occasional, unpredictable events noted mostly during the winter such as ship fevers (influenza, typhus and typhoid). All of these natural disease phenomena could be related to the seasons and the weather, more so than to any inner workings of the human body. Around 1815-1817, Scouttetten reached the age when he was old enough to learn medicine at a time when this new strongly environmentally based theory of disease was the dominating philosophy of the medical world. He would later come to realize that there was no uncontrollable fatalism or determinism attached to this philosophy. It was up to the people to decide how and where they wished to live, and whether or not they would be willing to engage in the healthy living practices needed to prevent their families from becoming ill. Nature and the behaviors of people were the principal causes for most illness. Our ability to adapt to these threats, or not, for a healthy life became an important part of the survival process that man was now forced to engage in. In some ways it seemed to many that populations were about to become too large for adequate food stores to be grown and produced, and Malthusianism was beginning to form the base for a second peak in popularity developing a generation later–leading up to passage of The Poor Law Amendment in 1834 . Like any individual interested in the natural philosophy of life, the notion of life force, our ability to live and adapt, our observations of the nervous system and muscular contractions, Scouttetten decided to take on medicine and in particular surgery as his occupation. His probable experiences as a surgeon in training were likely akin to those of the Connecticut-Massachusetts physician Elijah Perkins (covered elsewhere), whose work as a surgeon and observations of automated motor activities led him to develop the theories underlying his promotion of metalic points or tractors as a way to assist the body in its recovery from illness and the revitalization of the vital force. Physicians at this time had the option of becoming mostly metaphysical or physical in their healing faith. Due to the overall tendency for people to avoid becoming too philosophical and speculative, most doctors focused on the physical world primarily, and retained the disciplines that taught the values of nervous energy, sympathetic nerves (a 17th century discovery), Benjamin Franklin’s postive-negative electric force concept, and the ability of muscles to contract on their own, instead of relying upon the more speculative, energy and vital force related concepts highly popular as well during this time. Scouttetten was a doctor of physical medicine, not a metaphysician, and a number of his professional discoveries would in turn review, relate to and at times discuss other metaphysical concepts to come to the field of medicine. Reviewing his writings, we see a strong tendency for him to focus on the physical world and its electricity and chemical energies. He studied the mineral springs and proposed their therapeutic values to be due to electrical and galvanic means. He promoted water cure, believed strongly in the teachings of medical topographers, and liked to review the physical form of the skull in relation to health–a subject termed phrenology. The following partial bibliography of his work is indicative of this part of who he was as an early example of a Military-trained Surgeon and Sanitarian physician. He had effectively found his balance between the Élan Vital (Vital Force) and the Material World. 1827. La méthode ovalaire; ou, Nouvelle méthode pour amputer dans les articulations by H Scoutetten. 3 editions published in 1827, in French and an undetermined language (Russian or Latin?). 1831/2. Relation historique et médicale de l’épidémie de choléra qui a régné à Berlin en 1831 by H Scoutetten. 2 editions published in 1832 in an undetermined language (Russian or Latin) and French. 1831/2. 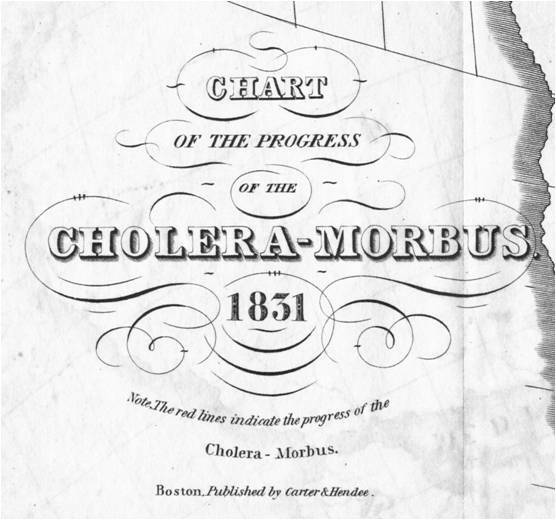 A medical and topographical history of the cholera morbus, including the mode of prevention and treatment. With a report read at the Royal Academy of Medicine, at Paris, Sept. 17, 1831 by H Scoutetten. 1 edition published in 1832 in English. 1831/2. A medical and topographical history of the cholera morbus, including the mode of prevention and treatment by H Scoutetten. 1 edition, 1832 in English. 1834. Discours Prononc Le 19 Fevrier 1834 L’Ouverture Du Cours Publique de Phrenologie. Scoutetten, H.
1838. Mémoire sur la cure radicale des pieds-bots by H Scoutetten. 3 editions, published between 1838 and 1840, in 3 languages (French, etc.). 1841. On the Radical Cure of Club-Foot. Scoutetten, H. Carey & Hart, Philadelphia, 1841. 1843. De l’eau sous le rapport hygiénique et médical; ou De l’hydrothérapie by H Scoutetten. 2 editions published in 1843 in French and English. 1843. Scoutetten H. (Robert Joseph Henri). Rapport sur l’hydrothérapie, adressé a Monsieur le Maréchal Ministre de la Guerre, après un voyage fait en Allemagne. Chez de Levrault,, Strasbourg, 1843. 1856. L’ozone, ou, Recherches chimiques, météorologiques physiologiques et médicales sur l’oxygène électrisé by H Scoutette [sic]. 2 editions, published 1856 in French. 1856. L’ozone; ou, Recherches chimiques, météorologiques, physiologiques, et médicales sur l’oxygène électrisé by H Scoutetten. 1 edition published in 1856 in French. 1864. De l’éléctricité considérée comme cause principale, de l’Action des Eaux Minérales sur l’Organisme. SCOUTETTEN H. BAILLIERE J.-B. & FILS. 1866. Etude sur les trichines et sur les maladies qu’elles déterminent chez l’homme by H Scoutetten. 3 editions published in 1866 in French and English. 1868. Recherches médico-physiologiques : De la résorption électrique, par le professeur Scoutetten. Metz : impr. de F. Blanc, 1868. Author noted as Henri Scoutetten, Dr Robert-Henri-Joseph. 1869. Notice biographique et scientifique sur le Professeur Schoenbein. Scoutetten, H. Metz, F. Blanc, 1869. 1873. Notice historique sur R.-H.-J. Scoutetten… [SCOUTETTEN]. ISNARD, Dr J.-A. Nancy : E. Réau, 1873. In-8, 55 pp. Scouttetton based this on his observations of the cholera as it made its way across the route travelled by the Russian militia. It wasn’t a new concept to visualize diseases following the men of the militia, the same was mapped decades earlier for Napolean’s War. But this time, there was a distinct geographical difference worth noting–traversing the Ural Mountains was possible due to this military part of the epidemic’s history. In many countries, like the U.S., mountains appeared to be serving as a natural boundaries to the diffusion process for the 1829-1835 cholera epidemic. Scouttetten’s map is important because it represents these medical geography concepts when animalcules were still a part of nature, not the internal human being, and disease was primarily an end product of nature. The originator of the active, water-borne vibrio animalcule theory for cholera is attributed to Italian scientist Filippo Pacini in 1854. Throughout the 1840s, such a speculation was not yet made, and so the theories for how to prevent and treat this disease were based on theories linking the disease to contagion and animalcules, miasma, toxins and vital energy, even volcanoes, meteor strikes, and other very terrene causes. Microscopic or exceptionally small animalcules were known around this time, but very few were assigned cause. Those considered to be the cause for a disease were macroscopic, not microscopic, and most had some link to livestock diseases as well. But by 1831, the founder of Homeopathy, Samuel Hahnemann (one of the strongest medical sects with a philosophy opposing the bacterial theory), made a statement describing the cause for cholera, or “cholera-miasm” as “the invisible (probably animated)” animalcules” (see later biography section for more). The faults we assign for disease during the early 1800swere barely upon our selves . The concept of mental disease was just beginning to be understood. The ways we became unhealthy were considered to be extracorporeal, not anything like our own behaviors. Of course there were those obvious exceptions to this–like eating poorly, not exercising, engaging in evil practices, habits and “sins”. But for the most part, physicians blames a large number of endemic and epidemic disease patterns on Nature and her various physical and metaphysical components. Only the most religious felt the guilt of being and living improperly. Only religion gave people the mindset needed to interpret disease as a form of punishment for the way that we lived. Until the sanitarian came to be, he who believed cleanliness was the way to good health, medical topographers and medical climatologists ruled the profession. Scouttetten’s generation was perhaps the first to take the sanitation route to developing an understanding of disease behaviors and their migration patterns, assigning the cause for diseases mostly to people and the choices they make each day of their life. Scouttetten’s work provides us with an example of how the human geographic interpretation of disease cholera became an essential part of understanding the disease migration process. This is important due to the ongoing argument between physicians about whether a disease is simply infectious in nature, in spite of human involvement and interaction, or contagious in nature, which states it is spread mostly by direct contact. Cholera enables physicians to observe a disease being spread by both of these mechanisms. Its manner of spread has behaviors that are dependent upon human or population features, and others that imply the need for specific topographic, climatic and ecological features. During one phase of a cholera epidemic environment and weatehr can appear to be the acuse, during another, these environmental causes are totally lacking and the cause has to be just human. In particular, the ability of the Russian military to manage this disease and keep it alive in the Ural Mountains presented physicians with a scenario that lacked the environmental features to contend with that were normally associated with cholera, such as warm, humid climates with the putrescence brought about by marshes and swamps and the high humidity displayed as the chief meteorological traits of a disease prone area. This ability for such a disease normally associated with season and place to travel just with people, through any environment, is dependent upon the time its organism spends in the body causing the disease, the time during which its presence in the body is transferred back to the environment in some infectious state, and the time it takes for the next victim to be exposed to and in contact with that infectious material within the environment. This contagious nature of cholera prevailed in high elevation circumstances, when its infectious environmental nature could no longer control its migration. This anthropocentric interpretation of disease based on the sanitation theory for disease was very different from the ecological interpretation promoted by many other European writers focused on the human experience and the environment. As implied by the American Monthly Review article above–Cholera is not contagious, it is infectious, and both the miasms of the body and those of nature were the causes for its spread. 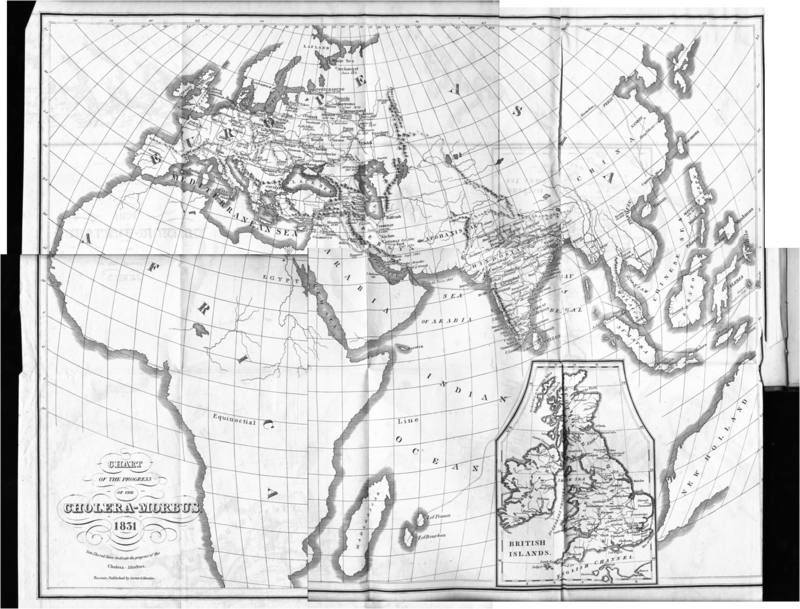 The following are sections of his map, some followed by related notes or comments. Scouttetten’s map is focused on travel routes. Notice how there are no climatic regions defined, or high risk and low risk regions for cholera. Latitude played little to no role in defining its cause and place in history, only human migration patterns and shipping and travel routes. Close to Orenburg, in the map below, mountains, changes in elevation, ground waters and climate played little to no role in the diffusion process. The first way is ecologically, which can be somewhat permanent in nature; ecology helps to keep the disease alive and allows it to spread further over a greater period of time than simple contact with miasm. The second way is by offering a temporary means for the cholera-miasm, or vibrio, to remain alive a little bit longer outside the human body, the requirement for which is a fairly stable growing medium or natural setting capable of supporting the organism’s life during the pseudo-hibernation process. In other words, for the most part, human-to-human transmission is what enabled cholera to persist as the Ural Mountains and other natural obstacles were crossed. The time factor that normally prevents the vibrio from surviving this long trek was replaced by the human ability to travel long distances very quickly. This enabled the disease to be transmitted and retransmitted to new victims repeatedly in the weeks and months to come, without need for natural assistance. This very much also describes why Asiatic cholera could not cross the Rocky Mountains in the United States during its mid-19th century epidemic migration process. Migration rates at the time were too slow. When we compare normal human migration speeds with those of the military, we see how the military perfected the migration process. The transmission of a disease like cholera across the ocean in Sandwich Islands around 1840 to 1850 was a difficult process whenever long voyages were involved. The human factor for its transmission made this a possible event. In cases where ships were bound with people, the disease travels in an active form quite easily. In situations where there are little to no people, and no potential victims, like cargo ships, the cargo and ballast become the means and cause for its diffusion elsewhere. The human method of disease spread prevails in military transport events, the ship-based method for common commercial events. In my review of the shipping records for San Francisco (12 months), Sandwich Islands (6 months), and the Isthmus in Middle America (12 months), for the 1849 to 1852 years, included the details needed to identify the military ships from mercantile ships and ships carrying just people. This review demonstrated that speed, not size and number, was the determining factor for defining the disease diffusion across large oceans. The same is true for military passages, like the one reviewed by Scouttetten. Within a number of natural ecological settings, nature can provide the organism that causes the disease with another place to reside between human victims. In the brackish water, deltaic setting of India where this disease originated, the complex ecology, climate, hydrology and chemistry make it possible for vibrio to survive as a part of the natural setting. In the midwestern Great Plains setting of the United States, the brackish water is mimicked by the alkaline, saline waters naturall produced along the Platte River, where temporary resting places are established in which the vibrio can wait for other people for it to infect. In the first setting, the vibrio is a part of the local ecology, during which time it may not even be interpreted as a potential pathogen in need of observation and study. For the second setting, the vibrio responsible for Asiatic cholera is only there for a short stay between human victims. Scouttetten’s map of cholera demonstrates a third type of case where human ecology alone, or human ecology in combination with a very small effect induced by the natural environment, enables vibrio to maintain its existence just a little bit longer than normally expected. 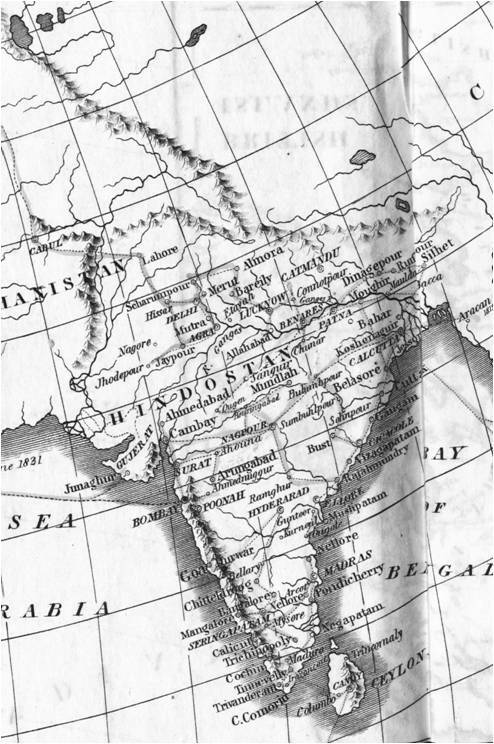 The routes travelled by Cholera are indicated by very thin, barely noticeable lines, like the migration route depicted on the map above depicting the Indian Ocean, and the many travel routes depicted on the map of Hindostan (India) below. 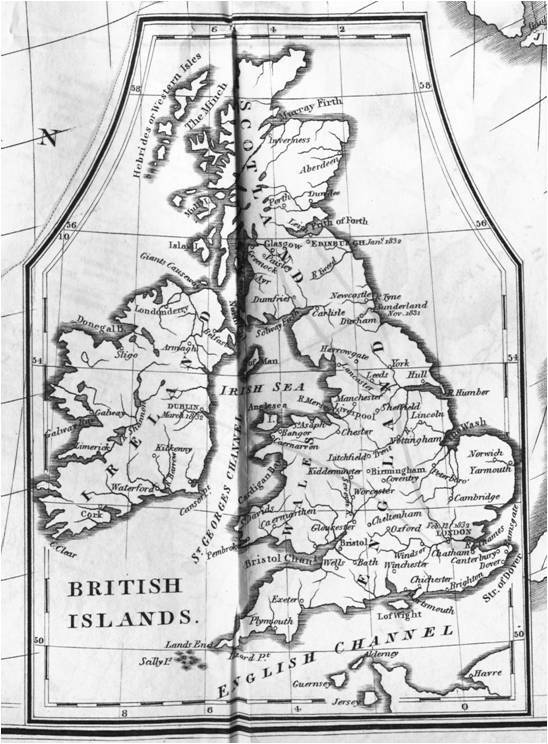 According to the above map, the main port of entry for cholera is at the mouth of the Thames via London. Raoul Henri Joseph Scouttetten, D. D. (1799-1871) is a surgeon and physician best known for his work between 1827 and 1831 on the geography of “Cholera” and in particular the Asiatic Cholera in Eastern and Western Europe. His first published work on this topic was Relation historique et médicale de l’épidémie de choléra qui a régné à Berlin en 1831. This thesis was one of several for the time that gave rise to the philosophy claiming certain diseases could be culturally based and very much a product of the local natural setting as well as how a given community becomes disease prone due to poor sanitation practices. He theorized that sanitation and the condition of the air were closely related to the means by which various diseases developed. The environment was considered the cause for disease, be it rich in miasma, putrefaction, some unknown chemical element, the disease’s own effluvium, or the koinomiasma, the sanitation of local setting defined how this substance would develop, emerge from the ground, erupt as steam and gas, or simply become the travelling pathogen it was destined to be. At the time, the relationship between sanitation and disease was still a century away from being fully understood. The notion that certain diseases could be animal born before becoming human born was no surprise for this period in medical history. During Scouttetten’s early childhood the associations between human and animal disease were very new concepts. The fact that you could deliberately pass on an animal disease to a person in some invisible way was not immediately accepted as a way to combat illness. Nobody understood the mechanism for this process, and it wasn’t until 1807 that those physicians well distanced from main stream communications began accepting the new thinking that kine pox vaccination could help prevent the worser condition small pox. The most basic, most essential part of the environmental theory for disease begins with the notion of winds and miasma. Both of these two natural events or substances are related to disease in most of the ancient medical writings. Scouttetten was still very much in touch with this miasmatic concept of disease, but was trying to perfect its application, its reasoning, and it’s usefulness at some very basic clinical level as a part of his services as a doctor and surgeon. His adherence to this theory is demonstrated by his accomplishments as a surgeon, working and observing the behavior of disease as a result of what occured in his workplace. It is also the reason he took the opportunity to study the progress of disease along the military roads taken through the Ural Mountains between Turkey and Russia. Just how was it that a disease once considered the be so depesdent on miasma and human generated effluvium remain effective during a lengthy march across the Ural Mountains. To date, this form of cholera had never successfully taken such a high elevation route before in European history. This ability for the disease to cross the mountains suggested it was not at all just environmental in nature, suggesting it also had to have some human component to its ability to spread. Be the cause for this disease and its migration miasmatic and effluvial in origins and behavior, or a consequence of direct contact and a diffusion assisted by its infectious nature, human behavior was the cause for this diffusion process–the putrescence and filth so popular since the first decade of the 1800s was still a viable cause for Asiatic cholera epidemics, at least their migration. Sanitation, or the lack thereof, was the primary cause for these epidemics. Military Medicine, Surgery and Sanitation Education. We see evidence for Scouttetten’s military education and training in his first published writing on surgery. The skills required for surgery were very much learned through experience, not published theory and its applications. The most common and frequent needs for the skills of a surgeon were within the military setting, suggesting this is how Scouttetten learned his trade. In 1827 he published the early treatise La méthode ovalaire; ou, Nouvelle méthode pour amputer dans les articulations–which when roughly transated reads The Oval or New Method for Amputating by way of Joints. By now, the biological mechanisms behind motor movement and organ performance were better understood. Nervous activity was considered responsible for the activities of muscles. The concept of chemicals described how and why some medicines worked. Opium was no longer supplied and used as a latex, but rather converted into its best end product morphine. Mercury and other metalic or mineral remedies were now favored over the much weaker vegetable products that preceded many of them. It also helps to note that for the time, military settings were often the most successful ways to spread epidemic diseases around the world, as well as to observe and learn from these patterns of spread. As a surgeon with military training, and a student of some of the Prussian teachings about sanitation and medicine provided by nearby medical schools, Scouttetten he was able to make some important observations about how and why these diseases travelled so quickly and effectively from one region to the next. 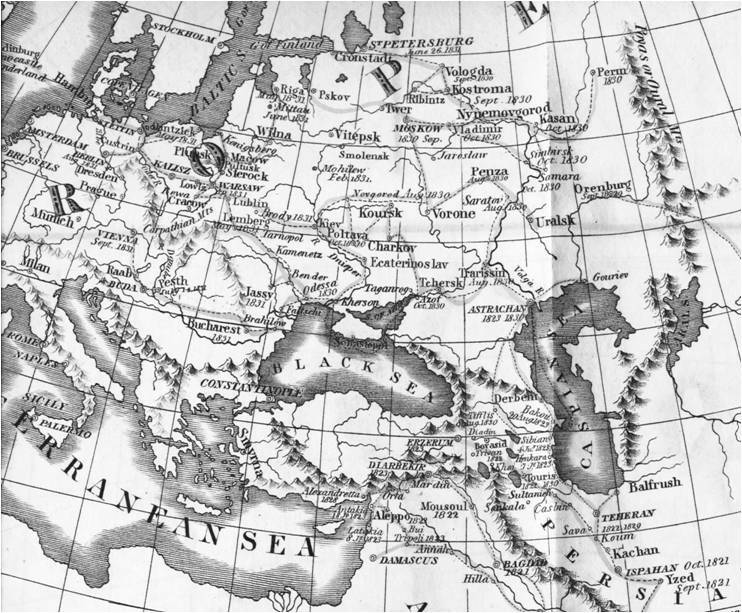 The passage of cholera over the Ural mountains is the first and perhaps the most important example of this disease migration behavior well covered during the first global cholera epidemic to take place from ca. 1829 to 1833. The length of this essay is matched by many other essays on cholera also published about this time. But few of those studies of epidemic dealt with the inability of high elevataion to matter when it came to the diffusion of such things and miasma, contagion, or whatever else was then claimed to be responsible for this new version of the plague. Scouttetten’s work helped to establish the more socially-minded sanitation theory for disease, instead of the popular theories focused just on individuals and their temperament, health, life style, physiological state, and behaviors exposing them to their unhealthy environments. social scenes, dietary regimens and unhealthy living habits. To Scouttetten and others, the military made cholera a social disease capable of ignoring all the natural philosophy rules out there for disease migration behaviors. His map demonstrates the sole responsibility of people in passing this disease on to others, through either their unhealthy living nature and resulting miasma so developed, or through the behaviors enabling them to spread the pathogen as some form of contagion. Either way, social settings were the cause for the disease, not humours, effluvium, miasma, alkalinity, or contagion. This is Scouttetten’s way of defining the unified theory of this very deadly epidemic disease. When Scouttetten began his medical and surgical training, there was a Lamarckian-derived adaptation of the philosophy for disease which helped to promote many of the ways or preventing disease that were promoted. Temperature and the preservation of heat in the body was important; to many this heat was akin to the vital force concept believed in by metaphysicians. To help conserve the heat of the body during the coldest periods of the year, wool was essential and so became the most important commodity for settings where winters were unusually cold. Likewise, the ability of the indoor cooking stove to generate heat as well as the fireplace were important to this ideology, and as a result we find some of the first local inventions for the New York region devoted to this important health belief. The stagnancy of air in the household setting was also of concern to people who feared both the external production and inward circulation of miasma into the household, along with the ability of a sick and ailing body to produce its own contagious form of miasma, referred to by some as effluvium, by others as idiomiasma. As a result we read about the occasional inventions produced during this time that were designed to improve the ventilation of homes and barns. It was not unusual to see homes with windows made of glass instead of oil cloth, and greenhouses in which indoor plants could be grown, including some food plants along with herbs and spices. These innovations enabled people to consider migrations into new unexplored territories, for if you moved to a new place and could not adapt to the environment effectively, all you had to redefine your indoor environment, in order to meet your ever-changing wants and needs. Scouttetten had to learn all of this philosophy and make sense of it once he decided to take on a position as a medical-surgical apprentice or surgeon’s mate. Of course, the art of living in a comfortable, environmentally-correct domestic setting was in many ways just common sense, one needn’t necessarily read about how to accomplish this, although the medical journals were filled with such articles and the annual meetings held by societies devoted to the arts and agriculture typically focused on such subjects. For the most part, inventions were the reasons why these topics arose time and time again at the annual meetings. The Franklin Stove, the steam engine, a new way to ventilate a home and prevent consumption, a new hygrometer or tool designed to measure the amount of sunlight, were all invented during this time, becoming some of the best examples of this new philosophy. Due to all the inventions made to monitor weather and the atmosphere, its spark and ability to store static electricity, our understanding of outdoor weather and indoor climate and the role of each of these on our internal vitality and nervous and emotional states were finally perfected. Scouttetten’s experiences with the natural sciences turned him into a very skilled surgeon focused on the body and its form, development and mechanics, plus he was a believer in the effect of the environment on the body as the principal cause for many diseases. He no longer relied upon the old fashioned interpretations of disease as being either solidist or fluidist in nature, and like many others with this national heritage, he was detached from most of the metaphysical belief circulation around the world about the electrical, magnetic, or galvanic nature of disease. For Scouttetten, the body had its own internal causes for disease that physicians and surgeons like himself were learning to correct. In many ways, Scouttetten was replacing metaphysics with physics, substituting philosophical notions with the more solidly based mechanical theories for disease. An even more important part of Scouttetten’s life was his exposure to the first human psychology and behavior theories. Scouttetten was practicing during a time when the 1800-born science of psychologia developed into a very early form of human population behavior or sociology study. To Scouttetten, the problems with the reliance upon physical versus metaphysical causes for disease were avoided by assigning human behavior as a possible cause for disease. Scouttetten believed that human behavior and the tendency to live in “filth” was the ultimate cause for some if not all of the worst of the epidemic diseases in history. Whereas the environment alone could easily describe yellow fever related problems, human filth was the best explanation for the increasing numbers of cholera epidemics now striking various parts of the world, and for generations had been considered the cause for the plague. This focus on the body for disease theory resulted in a normal response by physicians during the late 1780s and early 1790s when extracorporeal causes for disease became the focus once again. This too was not a new avenue taken in disease theory by physicians, and was an extension of many of the beliefs that existed during the colonial years when travellers and explorers migrated to other countries, selecting those that best fit their character and physiology based on the regions they were already adapted to and acclimated to. This philosophy was part of the early pre-Darwinian, pro-Lamarckian route in the beliefs regarding the evolution of man within his environment. The numerous contributions to this philosophy of existence and being healthy based on the environment are seen by the development of two new types of medical philosophy being published between 1800 and 1815, during Scouttetten’s childhood–the concept that topography and climate played important roles in this disease ecology process. Those who believed in this philosophy interpreted people as an innocent bystanders in the world, experiencing nature as a result of some normal event, or in some cases, as a result of God-given events. The version of Hahnemann’s theory preceded the bacteria theory of diseases like Asiatic cholera by at least three decades. However, the way that he described “animalcules” is something more akin to the particulates of water or steam that are suspended in the air to form a miasma. Hahnemann’s acceptance of animalcules, at least this version of it, as a potential cause for disease was a philosophy long awaiting his acceptance. To non-homeopaths this could be construed as Hahnemann claiming his theories were based on the size of physical particles or substances, not energetic, theoretical processes like many were now interpreting his theories to mean. To the main class of homeopaths making up regular medicine–the regular doctors who wished to retain their belief in the vital force, and its relationship to life and the recovery of apparently dead patients, believed in the practice of homeopathy as an adjunct to their primarily allopathic profession. This hybridization of the two medical sects consintued for another 10 years, and like many others active in the medical field, Scouttetten had to chose between certain opposing belief systems practiced by members of the same regular medical profession. We can understand Hahnemann’s theory a little better if we interpret (as many did)as a variation on the animal theory. In this way the philosophy links to another ongoing argument within the profession–the contagionists versus the anticontagionists. Hahnemann’s version of the “miasm” is more like a contagion theory, in which the contagion migrates from its place of origin onto ships, or onto and into animal and human bodies, or from contaminated water onto and into the human body, penetrating the bloodstream and dispersing itself, its “power” and vitality throughout a previously healthy body. Since the early 1800s, physicians had been referring to this “filth” and contagion in different ways. New York physical Samuel Mitchell at first called it septon (from sepsis) and later inferred it may simply be an undiscovered chemical element. Medical climatologists sometimes referred to it as koinomiasma. No matter what it’s make up, Scouttetten’s version of this miasma adds to these beliefs by defining the “filth” he refers to in his writings as a chief consequence of this miasma. As a pathogen it travel from one place to another like a an airborne toxin or miasm, but isn’t a pathogen until it settles on a surface, living or not, and infects more as people subsequently come in contact with thsis newly infected surface. No direct human-to-human contact is required for either of these methods of disease transmission, so it ability to spread invisibly is now better understood and acceptible. This means that the some diseases may be spread by air, making weather and wind important carriers, like the non-Hahnemann version of the animalcule theory many so heavily depended upon. Sometimes the disease was limited to water-born mechanisms, making hydrogeography an important part of the various telluric or physiographic theories out there for the gneration of cholera and formation of cholera epidemics. Be it airborne or waterborne, filth is filth in Scouttetten’s mind. It was the cause for filth that was the concern, not the consequences of creating this filth. Even without knowing the cause for disease, this meant that the Sanitarian way of theorizing and attempting to prevent disease could be put into practice, and work. When Asiatic cholera produced one its first major epidemics in Europe in 1817, Scouttetten was just 18 years of age and probably still in the process of deciding his profession. He probably took the traditional apprenticeship route about this time to become a physician or surgeon, or was enrolled in a military school. Either way, he learned as an apprentice under a local physician and/or as a surgeon’s mate serving one the local military forces. Like the United States, the process of earning medical degrees was now under some form of government oversight and/or approval and documentation process. Classroom or lectureship training was rare, training by professional tutors hired for the task was common, and some form of formal anatomic training was probably offered, either through a local high end public or military hospital, and/or alongside an early coroner and investigator of deaths hired or “borrowed” by the local government. With the nearly 14 year Napoleanic War and its successorss like the 1806-1812 6th Russo-Turkish War and the First and Second Serbian Uprisings (1807-1813, and 1815-1817) now recently over, some evidence suggests he first learned his skills in surgery, perhaps under one of the physicians of one or more of these recent Wars. 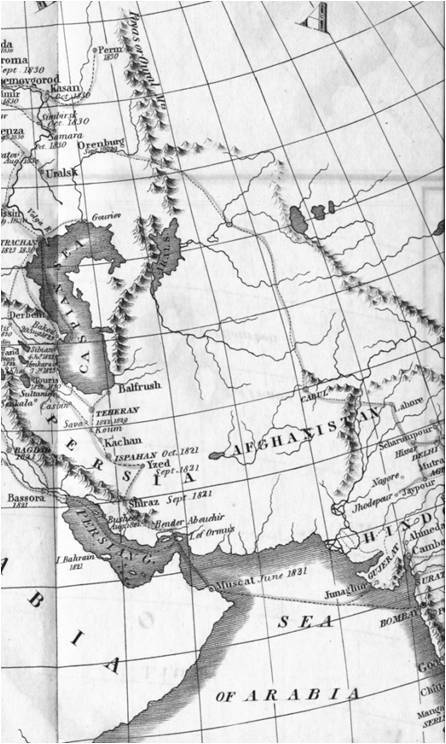 Evidence supporting this supposition is found in the history of his published writings, the first of which was written during the Russo-Persian War of 1826-1828, just before the Russo-Turkish War of 1828-1829. His first essay was on the development of a new method for amputating gangrene limbs, one of the most common problems a military surgeon would have to deal with. This particular characteristic of his trade is important to note, since it documents that the notion of the germ and virus were well within the realms of Scouttetten’s understanding of the natural sciences. The virus concept was already proven to him during his childhood when the famous Edward Jenner described the value of the inoculation process in preventing some diseases like measles and small pox from ensuing. It was also during this time that the notion of animalcules became a popular philosophy about disease, which stated that small organisms in the surrounding environment could be the cause for some conditions, evidence for this claim being the ascaris or barely visible heartworm. The publication of this book in 1827 also suggests that Scouttetten probably had a number of experiences leading up to this writing, lasting from 2 to 5 years, perhaps from 1821 to 1824, with two or more years prior education and experience leading up to these experiences as an amputation surgeon. This also suggests Dr. Scouttetten began his career in surgery and medicine around the age of 20 to 23 years, or some time around 1819 to 1822, right at the end of the first Europe/Asia-wide epidemic of cholera that struck Eastern Europe from 1817 to 1818/1819. From 1820 to 1827, Scouttetten was mostly a surgeon. With time he developed not only his mechanical skills in surgery, but also had some very important experiences and knowledge about the behaviors of his patients following the surgical process. Survival rates during this time were not significant. In some documents published about two decades later, it was noted that a 40% to 50% survival rate was not atypical. These victims of the surgical process could be related to hygienic and non-hygienic practices engaged in during the surgical process, a practice probably not engaged in much by Scouttetten at first, but most certainly one that became very important to his overall clinical experiences as he got older. Between 1827 and 1831, Scouttetten developed his theory on the cultural reasons for cholera. This was based largely on the observations he made about the epidemic in Berlin. The theory that poor sanitation was the cause for disease had its support from both the contagionists and anticontagionists. Contagionists believed that disease was introduced by a substance, chemical, element, gas, particle, or other invisible material eminating from the ailing body. This substance could be spread by direct contact and contact with other items previously in contact with the infected person. It was either of some natural cause, becoming pathogenic as a consequence of contact with people who then become ill, or by itself it was capable of causing an illness regarding of prior contact or not. The anticontagionists believed in the disease causing agent but typically attributed it to natural features and events occuring locally. The terms miasma and effluence apply mostly to these physicians, the former typically a result of nature, the latter a consequence of the ailing body emiting this disease causing substance. Science enabled scientists and physicians to come up with other terms for this mysterious miasma substance, such as the idio-miasma and koino-miasma defined by medical climatologist Thomas, terms used to differentiate the personally-produced miasma (idio-) from the naturally produced miasma (koino-) of the natural environment. Following the cholera epidemic in Europe of 1817, Scouttetten and others began to develop their personal philosophies about the cause for cholera based on the yellow fever experience. Cholera victims experienced only a few of the same symptoms as the yellow fever victims. 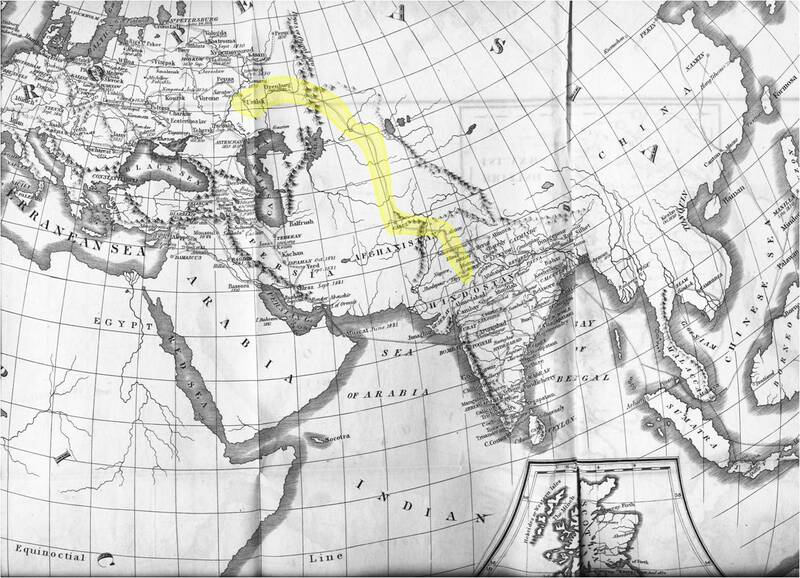 Still, the Yellow Fever epidemics taught physicians the value of the quarantine and helped strengthen the arguments out there about diseases occuring near shipping ports as to whether they were of domestic or foreign origin. Since the cause for cholera like yellow fever was also unknown, most people associated it with any number of environmental causes, ranging frrom recent meteor events to poor soil and unhealthy lifestyles and living quarters. The next major event to impact Scouttetten’s philosophy and methods of practice came in 1831 when the next global epidemic of Asiatic cholera struck Europe. In particular, the impacts of the 1831 Cholera epidemic in Berlin played a most important role in how Scouttetten would develop his philosophy about disease, due to two events taking place in relation to the epidemic in Berlin. First, the epidemic in Berlin demonstrated that conventional regular medical practices were often detrimental to the patients health and likelihood to survive. This was not only due to the types of medicines being used, but also due to the excessive amount of bleeding that was practiced on these individuals. The bloodletting practices were so deadly to the patients that at one point Scouttetten and a partner of his took it on themselves to treat the problem that the use of the lancet was generating, and made one of the first attempts to revive a dying body by placing valuable liquids back into the body, in particular saline water. This practice of perfusion was one of the first of such attempts made in Europe, which was soonafter followed by similar practices engaged in by London and other Western European physicians. Second, Samuel Hahnemann’s practice of homeopathy was shown to be the most effective way of treating people with the “cholera” of any type during this particular epidemic period. Samuel Hahnemann’s reaction to this success of his medicines even led him to propose a mechanism for why his medicines worked. The large numbers of deaths by the allopaths was the evidence Hahnemann needed to prove that homeopathy (the one or like) was better when it came to treating disease. Hahnemann even went so far as to conclude that this suggested Asiatic cholera was due to some sort of animalcule, which he proposed to be a “small insect.” Hahnemann’s insect view of the animalcule could be due to the possible associations being made with mosquitoes and yellow fever during the years prior, and even though it would take another century for physicians to scientifically prove that such epidemics were due to insect activity, there is ample evidence out there suggesting that the animalcule-based theory for yellow fever may have already been present in some physicians’ minds. Aside from the detritus and decaying matter of mosquito-breeding regions, there were numerous sources for the “miasm” causing this type of disease, not just the physical elements of nature and its natural climate and landforms. The final connection Scouttetten had to make between his observations as a surgeon pertaining to post-surgical progress and recovery, his personal life experience during the 1817 cholera epidemic in Europe, and his professional experience during the 1831 epidemic, was whether or not to belief in the contagion theory of cholera or the infection theory. The contagion theory stated that disease could be spread from one person to the next without direct contact. This theory could be explained by a variation on the miasma theory. The infection theory stated that some sort of contact was ncessary for a disease to be spread between individuals. This connection need not be direct, but it had to be evident either in some fashion related to infected objects being shared (the small pox blanket concept), or by direct human contact (personal and individual such as anything from hand-to-hand or sexual, to professional, social behavior related). Whereas Hahnemann was specific about his perceived cause for disease, and related it to environmental factors influencing the body, Scouttetten’s interpretation of the environment was more focused on people. His writings suggest that he had a considerable amount of experiences in other social settings, ranging from rich to poor settings, and from traditional, rural cultural to highly specific military settings. This also provide further evidence for the possibility that he had some international experience with his work, relating in turn to his experiences with the military and government, and ultimately led to his placement as a government official by 1831. About the time Scouttetten drew his important conclusion about cholera and the causes for its morbidity, he was serving as an adjunct professor at the University of Medicine in Strasburg, Russia, and was an active member of the Royal Academy in Metz. On September 17th, 1831, he presented his theory on Asiatic cholera to the Royal Academy of Medicine at Paris. Scouttetten believed that cholera was due to a contagion emitted from people suffering from this disease, this substance he referred to as “miasm”. His evidence for this theory was quite simple. This disease was able to spread across large tracts of land by way of the military. Those in the military who captured or suffered from this disease did not necessarily come in contact with other people who later developed this disease. Scouttetten felt this was due to the filth that many of the communities that suffered the most from cholera. Contact between a cholera person and another was not necessary for the other to catch the disease, thus ruling out the alternative our there for the cause for cholera–some sort of infectious cause distributed by way of direct contact between people. Scouttetten was not a strong supporter of the infectious theory of disease, the theory that claimed that a germ or virus was transferred from one persion to another for the disease to commence. There were a number of parallels to the germ or virus theory for disease then popular as well, such as the animalcule theory, which stated that small organisms could be responsible for an infectious disease. One of the concepts sahred by these theories is the option that some physical object would move or travel from a point of infection to another point lacking this infection. Once the unifected site was reached, no matter how small the object engaged in this travel, the disease it produced was quite debilitating and at times deadly. Numerous bits and pieces of evidence were being documented thereby supporting the virus, germ or animalcule theory for disease. During the early 1800s, some animalcules were found in the flesh of livestock, responsible for such diseases as heartworm. Dr. Scouttetten’s interpretation of cholera was unique in how he focused on human behavior as an important part of the potential causes. He related the worst cases to poor hygiene and the accumulation of “filth” they experienced due to the nature of their immediate surrounding living environments. It was this sanitation theory for cholera that made Scouttetten claim that the “miasm” needed for severe cases of cholera morbus need only be developed by people, and that the full fledged asiatic cholera epidemic did not necessarily require direct contact with people, just contact with the things around them contaminated through direct contact. Scouttetten’s claims are even more important due to the map he created to prove his theory about the human causes for this disease and its recurrences, demonstrating that long standing environment requirements did not always have to be present. Around this time, there were two major ideologies out there about disease transmission. One theory–the infectious disease theory–stated that diseases were due to infection by a germ or virus and were passed from one person to the next through direct physical contact. The other theory–contagion theory–stated that no contact was needed, suggesting that a disease could be spread indirectly between people by means of objects contaminated by the substance responsible for disease. Scouttetten was more supportive of the latter. In July of 1831, Scouttetten presented his theory of asiatic cholera to scientists and doctors in Paris. This speech was then translated and immediately published in 1832 as Medical and topographical history of cholera morbus. Scouttetten’s study of cholera would later help to increase the popular theory that ozone was the cause for cholera. This theory was at first a substitute for the miasma theory, and later became an additional argument that could be made about other more proven pathogens, based on claims that ozone served as a contributor to whatever natural event or substance was the cause. Something less than thirty year ago a Swiss chemist, named Schoenbein, discovered the curious fact that when a bit of phosphorus is exposed to the air, or to oxygen gas, a portion of the oxygen will be transmuted into a new and peculiarly energetic condition. In view of the pungent odor of this modified or active oxygen it was called ozone by its discoverer, from the Greek verb ozein (ὄζειν, “to smell”). This ozone exhibits a remarkable power of oxidizing, and so destroying, many chemical substances. Most of the vegetable coloring matters, for example, are quickly bleached upon being exposed to it; and a vast number of foul and unwholesome gases and vapors may readily be put out of existence by virtue of its oxidizing power. Soon after the discovery of ozone, it was noticed that there is usually a small proportion of it in the atmosphere. This fact at once excited much attention and has led to much research. It is now known that the ozone, as a general rule, is particularly abundant in the open country and at sea, while in the air of large cities there is comparatively little of it at any time. It fails altogether in the air of filthy or pestilential localities, and in that of places where many persons are crowded together, as in the habitations of the poorer classes, in churches, theatres, and hospitals. Ozone can rarely be detected in the neighborhood of cesspools, or of the openings of sewers. Sometimes no trace of it can be found to the leeward of a stable or manure heap, or of a city even, at the very moment when there is an abundance of it to windward. This deficiency of ozone in the air of crowded localities, or in that which has been in any way polluted, was at once explained by the reducing action of organic matter. It was admitted that volatile organic substances—and of these many stenches are known to be composed—upon escaping into the air must quickly be oxidized by the ozone which is normally contained in it. From this the inference was drawn not only that the atmosphere contains within itself the means of its own purification, but also that the purifying agent most immediately concerned is ozone. Experiments upon the disinfecting power of artificially prepared ozone were quickly undertaken, some of them, as those made by Scouttetten in France ten or twelve years since, of quite an elaborate character. It was then shown that air in which putrid meat had been suspended could be at once deodorized by a small quantity of ozonized air. So, too, ozone was proved capable of purifying the air of hospitals and that of apartments which had purposely been rendered particularly offensive by scattering in the rooms fermenting manure and sewer water. The subject has latterly again been attracting a considerable degree of attention among physicians, particularly in England and in this country, and at the present moment ozone bids fair to become one of the most popular among the disinfectants, in spite of the danger from fire which attaches to some of the processes by which it is usually obtained, and notwithstanding other inconveniences which still attend its preparation by any of the methods in use . . .